If it's concrete plot details you're after, then the latest promo for Endgame probably left you wanting, but this carefully crafted teaser was still another welcome piece of marketing material from the studio and has us more than eager for the next full-length trailer. She and Cap will be joined by the surviving members of their team, like Thor - and his new Stormbreaker battle axe - Rocket Raccoon, Ant-Man, War Machine, Hulk, Hawkeye and Iron Man himself, Tony Stark, who is off welding in space. Marvel, you already have my money and I'll guess the same is true for the majority of your prospective audience, so feel free to cut trailers together in different ways from now till release, but don't give us any "new" footage, pretty please. In other news, Recently, The Russo Brothers also reacted to the Avengers: Endgame hype with a hilarious response of their own. There is also a shot of a flier that reads, 'Where do we go now that they're gone?' while Captain America (Chris Evans) states, 'Some people move on, not us'. No, not those who were snapped away in Avengers: Infinity War - though their absence was keenly felt - but another person entirely. Based on how intensely they're sparring (or, y'know, just straight up fighting) in this scene, we can imagine that that particular dichotomy causes some real tension between the two of them. Marvel Entertainment shared the global poster for their much-awaited superhero flick starring Captain Marvel in the titular role. Nebula (Karen Gillan)? All answers will be revealed when Avengers: Endgame launches into theaters nationwide on April 26. 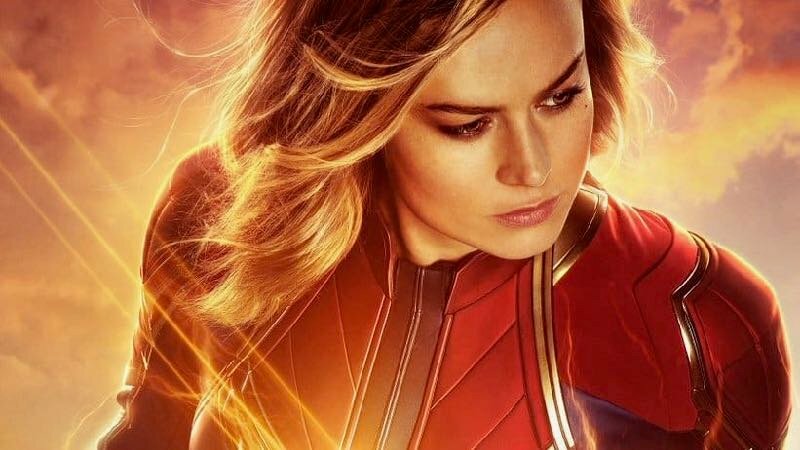 Before Endgame arrives, though, fans will be gifted to the premiere of the Brie Larson-led Captain Marvel film.